A flexible, secure and efficient supply chain is critical for a timely and effective response to outbreaks of any existing or emerging infectious diseases with pandemic threat potential. Under the Emerging Pandemic Threat (EPT) Task Order, the USAID | DELIVER PROJECT managed a stockpile of outbreak response commodities, and provided procurement and distribution services to respond to outbreaks worldwide and to pre-position supplies at regional and country levels for rapid deployment when needed. In addition, the project provided supply chain technical assistance to the USAID EPT Program, its partners, and country programs to strengthen their capacity to prevent and mitigate disease outbreaks. The project shipped outbreak response commodities, including personal protective equipment (PPE) kits, infection prevention and control supplies, laboratory equipment, and diagnostic supplies to EPT partners and programs in Asia, Africa, and Latin America. This commodity support and the supply chain technical assistance provided has ensured availability of the equipment and supplies for the USAID EPT Program, partners and countries to implement interventions in the areas of disease surveillance, pathogen detection, and outbreak response. 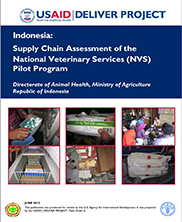 Through this and the preceding Avian Influenza Task Order, the project shipped 38.6 million products to 103 countries to help prevent outbreaks. 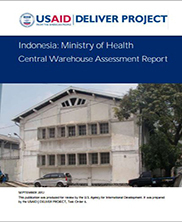 In collaboration with in-country and global partners, the project also provided critical support to USAID’s response to pandemic influenza (H1N1 and avian influenza), through a review of product technical specifications, procurement, order management, warehousing, shipping, and delivery of outbreak response commodities. For its work on EPT, the project’s partners include: 3i Infotech, Inc.; Crown Agents USA, Inc.; FHI 360; Logenix International, LLC; The Manoff Group, Inc.; MAP International; MEBS Global Reach, LC; PATH; Imperial Health Sciences; and UPS Supply Chain Solutions. Learn more about Emerging Pandemic Threats.